Omega NC800 vs NC900 Juicer Review - Which One Is Better? Home » Omega NC800 vs NC900 Juicer Review – Which One Is Better? The juicer is one of the most important parts of an ideal kitchen of any home. We can’t just imagine a modern kitchen without a juice extractor. An ideal juice extractor can make our daily life easier by its performance. A kitchen doesn’t seem complete without a juicer. But you know what, choosing the perfect juicer is always our priority but it isn’t an easy task as because there are a lot of juicer models available with different features and specification. So, you must purchase the right juice extractor which can efficiently fulfill your requirements. In this article, we have reviewed two of the best juice extractors named Omega NC800HDS & Omega NC900HDC. You may consider this guide as a comparison guide too because many people feel confused because both of these are extremely good product and they can’t simply decide which one should they buy. Don’t worry, we’re here to kick out your confusion so that you can get the perfect one for your kitchen. 1 Omega NC800 vs NC900 Juicer : The Actual Difference. Omega NC800 vs NC900 Juicer : The Actual Difference. Omega’s Nutrition System are “masticating-style” juice extractors and more! A masticating juicer juices at low speeds of 80 RPM minimizing heat build-up and oxidation. Both Omega NC800HDS and Omega NC900HDC juice extractor are from a well-known juice manufacturer named Omega Juicers. The manufacturer Omega Juicers produces great juicers for a long time and they are very popular. 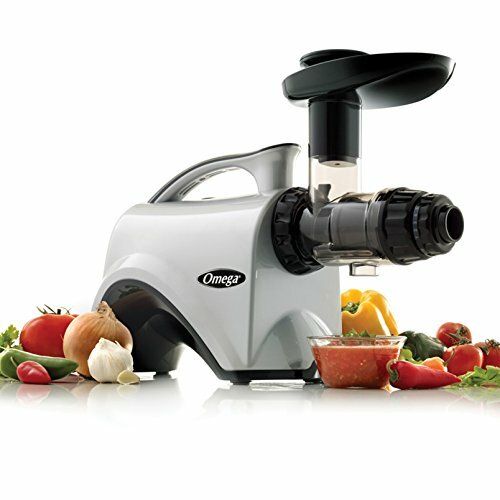 Additionally, the Omega juicer products are long lasting and you get a long time warranty with each juicer. You can use a juicer over for a decade without any kind of worry. As the Omega NC800HDS and the Omega NC900HDC are from the same manufacturer and technically they have the same features, it’s tough to compare these two products. But we tried our best to bring the actual different(s) of these products to light. So, let’s start with the short review of these products so that you can find the different(s) easily. The Omega NC800HDS come with a quiet and powerful 2 HP motor with gear reduction equivalent so that you get a quiet but strong operation while juicing. This powerful motor has made the juice extractor more effective. All the omega products come with long lasting parts and warranty. This product isn’t different too. You get a warranty over a decade, isn’t it insane? You can use this juicer without any kind of worry, even for almost your lifetime. This NC800HDS is able to extract the maximum amount of vitamins, nutrients, taste and juice from the minimum amounts of vegetables, leafy greens, fruits, and wheatgrass which has made this juice extractor great. This can be your perfect companion in your kitchen. This juicer has a dual stage masticating extraction feature which has made this juicer an exclusive juice extractor. This unit has adjustable 5 settings end cup for ensuring the maximum extracting. Enjoy the continuous juicing with automatic pulp ejection. This 14.5x6.5x15.5 inches dimension based juice extractor is basically a beautiful machine piece. You’ll just fall in love with the elegant look of the juice. Additionally, this little beautiful machine will increase the decoration of your kitchen too. Just grab one and place in your kitchen and see the magic. This Omega NC800HDS comes to satisfy you. You’ll get the best juice from this extractor. This unit provides you with the best juicing experience that you have ever had, seriously! I’m sure that you’ll find this juicer very user-friendly. As like as other Omega product, this NC900HDC comes with a longer warranty over a decade. You can use this juicer for your lifetime! Seriously, this Omega juicer can be used for a long time without any kind of worry about it. Design matters for everything. So the manufacturer has given this machine a beautiful look. I’m pretty sure that you’ll love the design. The 14.5x6.5x15.5 inches designed based juicer is compact, beautiful and too much attractive. It’ll increase the beauty of your kitchen too. 2HP gear reduction equivalent motor is in the Omega NC900HDC which ensures you an effective, powerful and quiet performance during working. With this powerful motor, the juice extractor has become more effective and convenient. The Omega NC900HDC juice extractor offers you the best juicing experience without any doubt. It provides you with the delicious juice you’ve ever had. It just came to satisfy you. It’s always ready to deliver you the best juice when you need from it. This NC900HDC is a great extractor which can extract the maximum amount of vitamins, nutrients, taste and juice from the minimum amounts of leafy greens, vegetables, fruits, and wheatgrass which has made this juice extractor great. This NC900HDC is a pretty good companion of you in your home. The Omega NC900HDC comes with an advanced feature named dual stage masticating extraction which has turned this juicer to an extreme level. It has the cup end with 5 adjustable settings that ensures the maximum extraction with the automatic pulp ejection so that you can enjoy continuous juicing. So, after all the comparison, we can clearly say that there is no big change in these two products except color. The Omega NC800HDS comes with the silver finish where the Omega NC900HDC comes with the chrome finish. I personally just love the chrome finish because it looks more classic. But a different person has a different choice. If you like chrome finish then go for Omega NC900HDC and if you like silver finish then go for Omega NC800HDS. Those products are almost the same. So, nothing to worry about! And remember, don’t get confused by the generation. You may get confused by the 5th & 6th generation tag. But the truth is, both are of the 6th generation now. So, get rid of those worries and go for whichever you want. Good luck.